The postcard sold in an online auction. 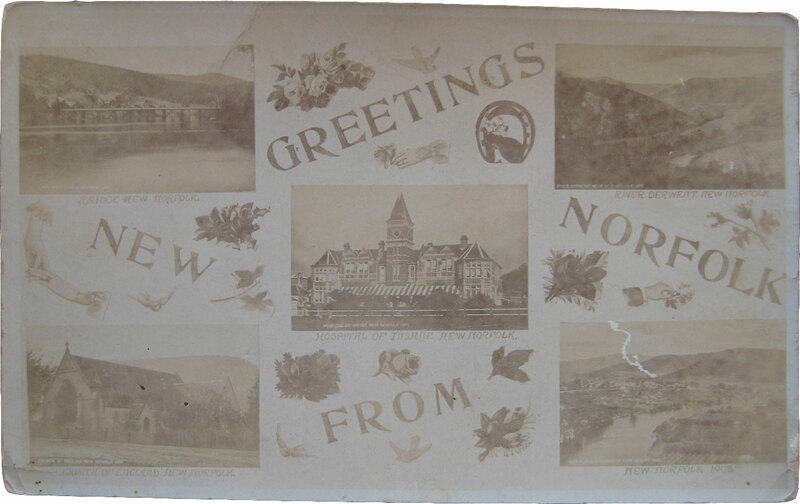 A CENTURY-OLD postcard featuring scenes of New Norfolk has sold for more than $40 on eBay tonight. 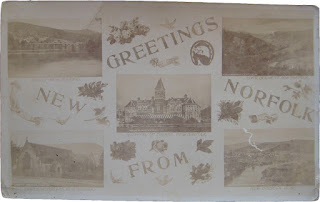 Offered for sale by a Launceston seller, the unused postcard was dated 1908 and featured five views of New Norfolk. It sold for $3.67. On the front are three familiar scenes of the River Derwent as well as a fourth image showing St Matthew's Anglican Church. The fifth image, with pride of place in the middle of the postcard, is a rare representation of the clock tower (K Ward) that once stood in the grounds at Willow Court. 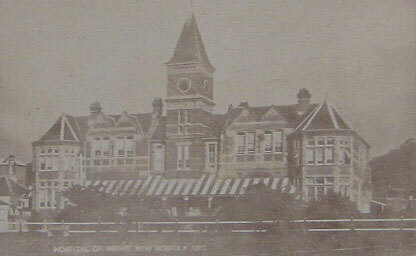 This substantial building was demolished in 1965. A close-up of the clock tower.